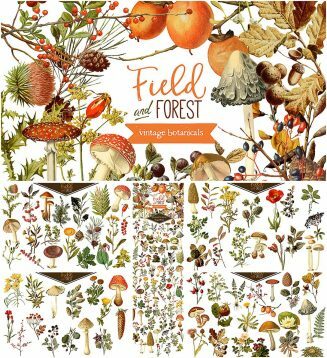 Collection of 75 vintage botanical graphics of leaves, flowers, berries, dandelions, fern, mushrooms, acorn, thistle, trees, rosehips and more. Perfect for cards, invitations, digital scrapbooking, and more. 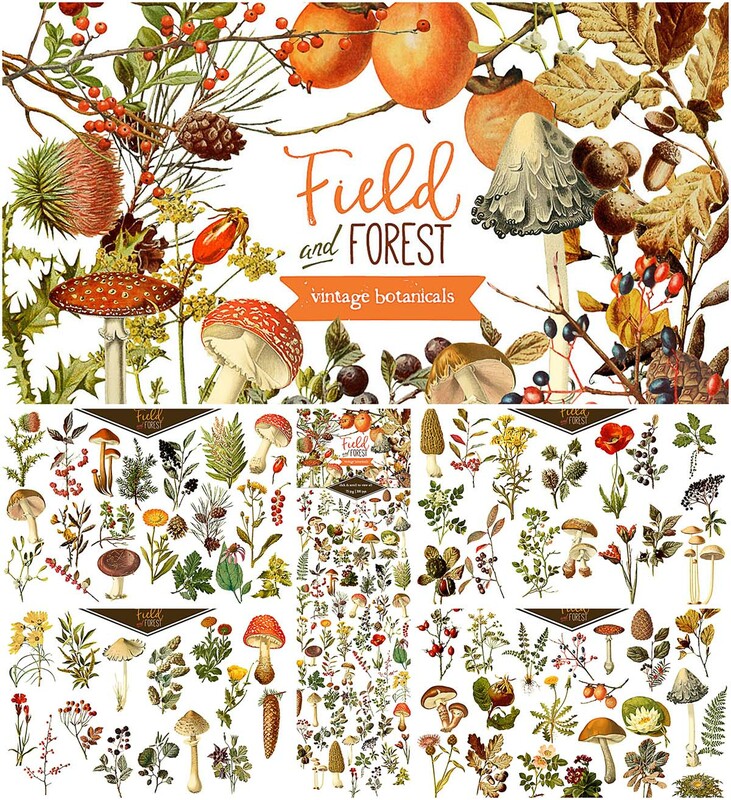 Tags: acorn, berries, botanical, dandelions, fern, flowers, graphics, leaves, mushrooms, rosehips, thistle, trees.